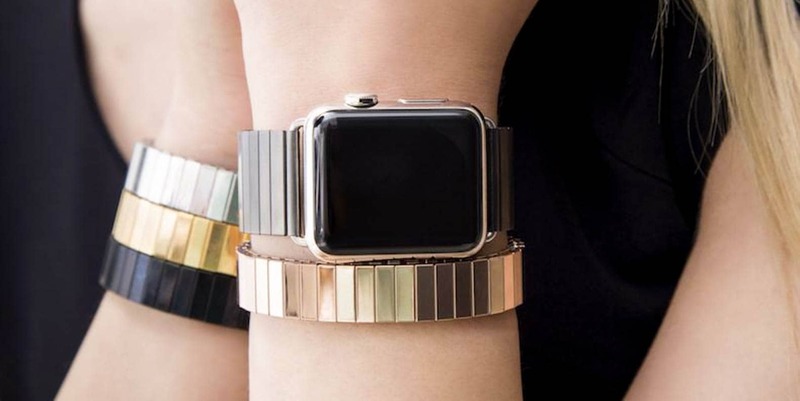 Wiplabs' Link Apple Watch Bracelet is built from the same steel alloy as the Apple Watch. You don’t have to be an iron man or iron maiden to prefer some metal in your life, especially around your wrist. There are a lot of choices when it comes to holding your Apple Watch, but maybe you’re not hell-bent for leather or a fan of the Plastic Ono Band. You want a metal band and nothing else matters. The Cult of Mac Watch Store has several metal Apple Watch bands available, from the affordable ($40 for a Rilee & Lo) to the high-end ($149 for a Juuk). Rush to check out a selection of these metal bands below. You can’t go wrong with the Twist-O-Flex. Longtime watch purveyor Speidel is famous for the Twist-O-Flex construction that revolutionized metal watchband design. Two sets of stainless steel links are held together by pins, allowing them to expand and contract as you pull on them. This simple, solid design is the product of over-engineering. These bands are super-comfortable and long-lasting. Available in brushed stainless steel, silver stainless steel and black stainless steel. The Wiplabs link bracelet comes in silver and black, but you don’t need to be a Raiders fan to wear one. Link is Wiplabs’ beautiful Apple Watch band crafted from 316L stainless steel alloy with a custom butterfly closure. 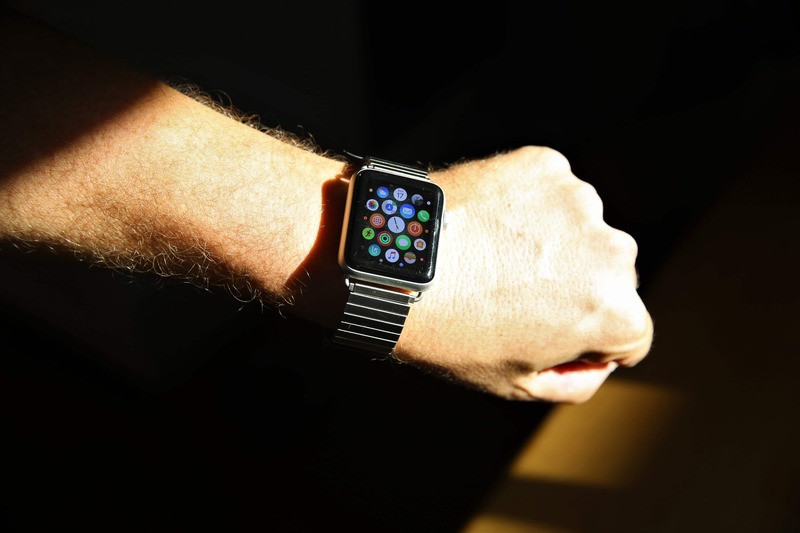 Link is made specifically for the Apple Watch, respecting Cupertino’s high standards. The quick snap clasp allows a quick and secure fit. The stainless steel strap is sweat-, water- and corrosion-resistant, making it great for active wear. 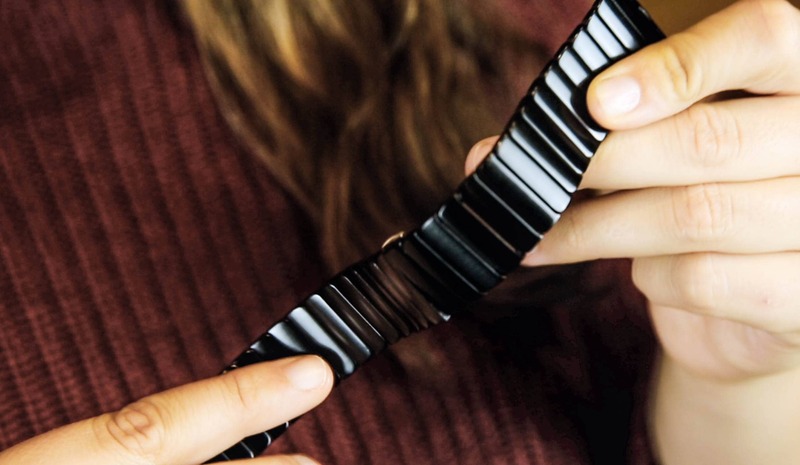 Rilee & Lo’s collection offers bands and bracelets that transform your Apple Watch into a statement piece. 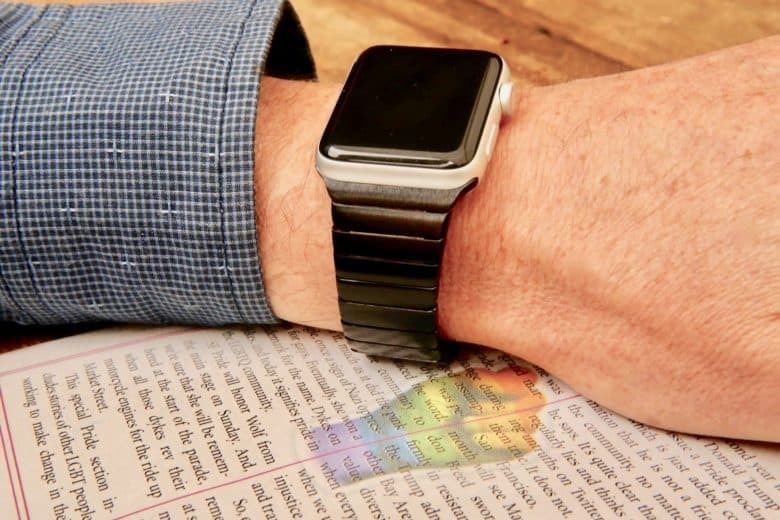 The unique Rilee & Lo stretch-link design for its metal Apple Watch bands is patent-pending for a reason. Choose the correct size and this stainless-steel band slips on and off your wrist seamlessly and fits like a proverbial glove. This Juuk Vitero Apple Watch band pays homage to a certain armored Avenger. Inspired by race cars, Juuk’s Vitero band looks, feels and performs like no other Apple Watch band on the market. 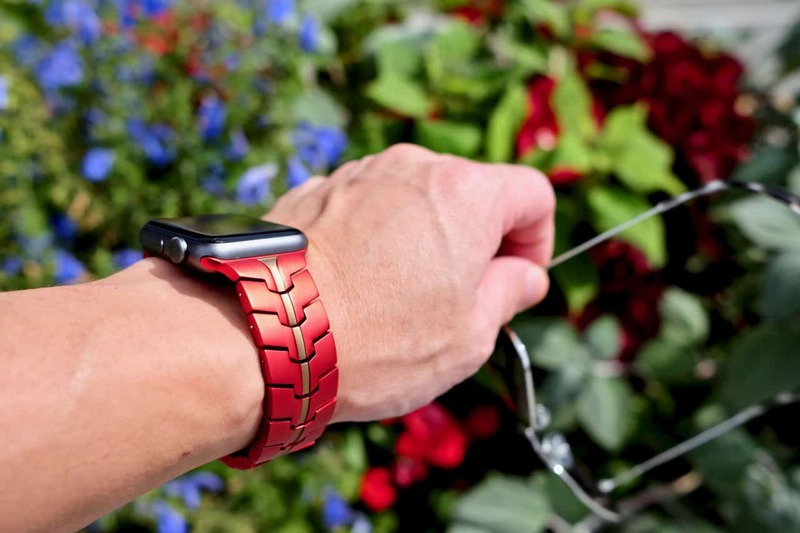 This matte Crimson red Vitero band with a gold stripe, made of 6000 series hard-anodized aluminum, fits all generations of the 42 mm Apple Watch. However, be aware that this band doesn’t fit Apple Watch Series 4 due to some very small changes made in the smartwatch’s case. Juuk retooled its entire line to fit the new watches, but not all models have made it through manufacturing at this point. Keep an eye out here for updates on which bands have been released.